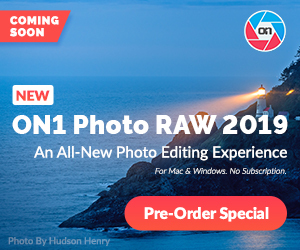 Having trouble getting your SD Card to boot up in your Canon DSLR so you can run Magic Lantern? Well if your a Mac OS X or Linux user, you are in luck. 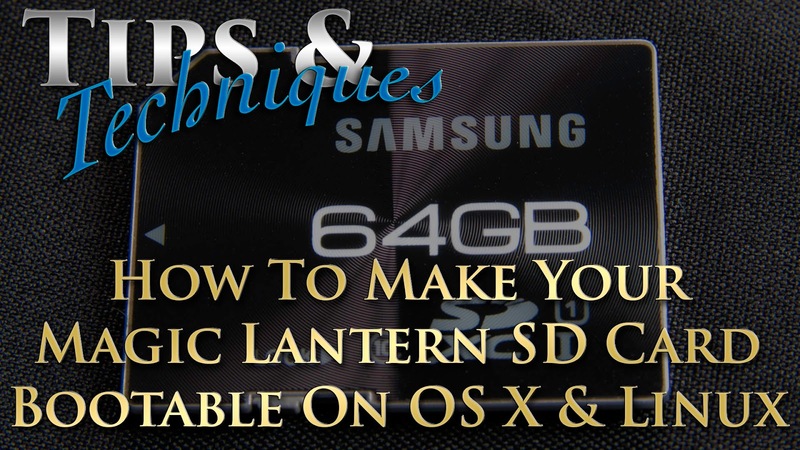 In this tutorial I show you how to make that SD Card bootable using the Make Bootable script and have your running Magic Lantern in no time at all. The Mac Boot software is a pain to get running. It requires Java, which I have installed, but still does not want to run. I figured if I am having a pain getting this to run, others are likely pulling their hair out as well. The Make Bootable script however can be run on both Linux and Mac OS X. I also found it extremely easy to use, but could require someone with command line experience in BASH. Luckily for everyone here, I do. So I felt this was a great idea for todays Tips & Techniques video. I normally don't try to get to technical in these videos, but this was just to good of information to keep to myself. So I hope everyone enjoys this tech tutorial. I am in the works on make my videos better and more consistent. Which makes then over all more professional looking in the long run. So I hope everyone finds this video helpful and if you do hit the Like Button, and click Subscribe if you already haven't. Subscribing if completely free and it simply lets you know when I release more videos like these. Thanks Everyone..